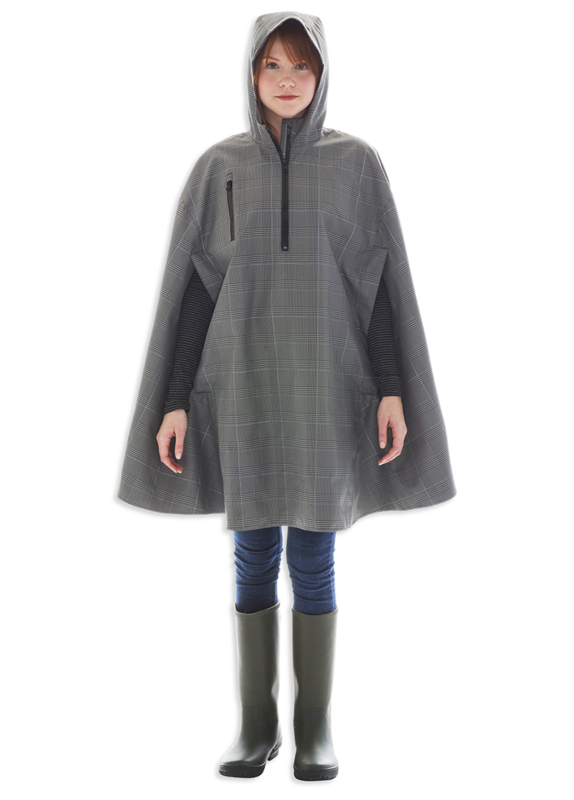 The dashing Electric Houndstooth by Cleverhood puts safety first for evening bicyclists interweaving a reflective thread amidst traditional plaid patterns. 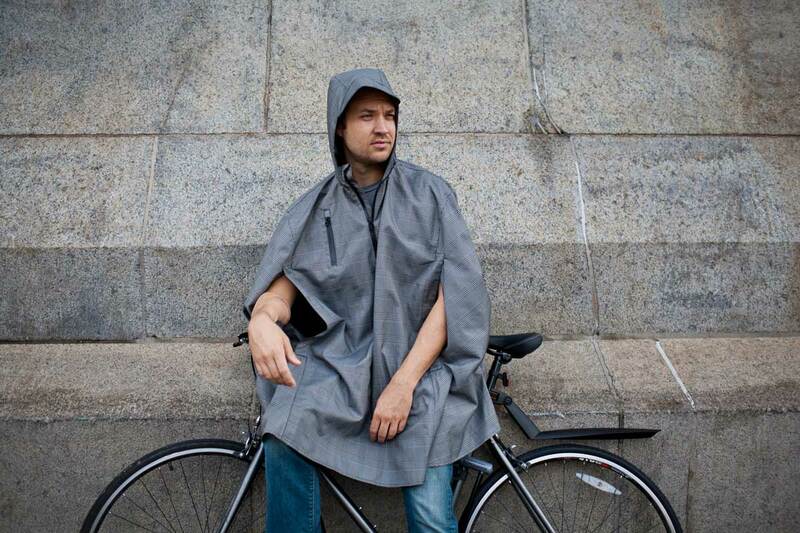 Substantial coverage drapes stylish fabric over the shoulders with a fitted bill hood that tucks nicely under a bike helmet. The magnetic closure armholes provide optimal mobility with genius thumb tabs to secure its flyaway tendencies while cruising around town. Features include durable, waterproof (10K mm) polyester, Uretek zippers, mighty Velcro trim tabs. Made in the USA. Dimensions - 37” (94cm) from center shoulder seam to hem.